One of the things I LOVE to do to attract more prosperity is to Feng Shui my office! I work from home, so it really helps me to Feng Shui the place I have deemed as my office space. When you are feeling like you are getting nowhere with your career or are wanting to make more money, a simple solution is to Feng Shui your office for more prosperity! Watch the video below or read on! For those who don’t know, Feng Shui is an ancient Chinese science that goes back at least 3,500 years. It involves selecting or arranging a living environment where the five elements (fire, metal, earth, wood, and water) and the Yin and Yang energies are in complete harmonious balance in order to bring the good life to those who reside within that space. Basically, it is a Chinese philosophical system of harmonizing a person with their surrounding environment. Feng Shui in Chinese literally means “wind-water.” Feng means “wind”. Shui means “water.” So, what happens when wind blows on water? IT CREATES RIPPLES! I have so many Feng Shui tips to share with you, so I broke it down into two parts. 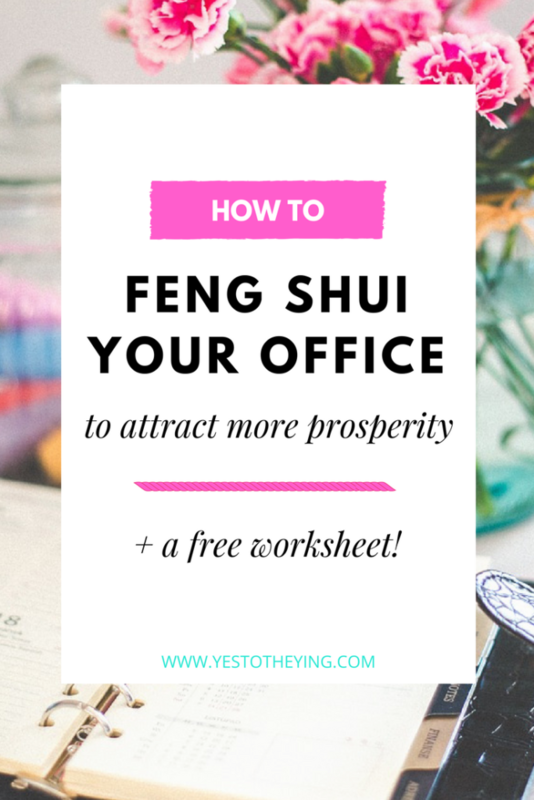 Here is PART ONE of How to Feng Shui Your Office for more prosperity! Yup, that’s right! Get rid of all that clutter on your desk! Riding on the heels of last week’s post, cluttered desk = cluttered mind = cluttered energy. And when the energy is cluttered, it acts like dam in the river. If you want the money to flow into your life, you gotta unblock that dam! So, get rid of those papers, file away those receipts, and create an organizing system to put your important papers in. 2. 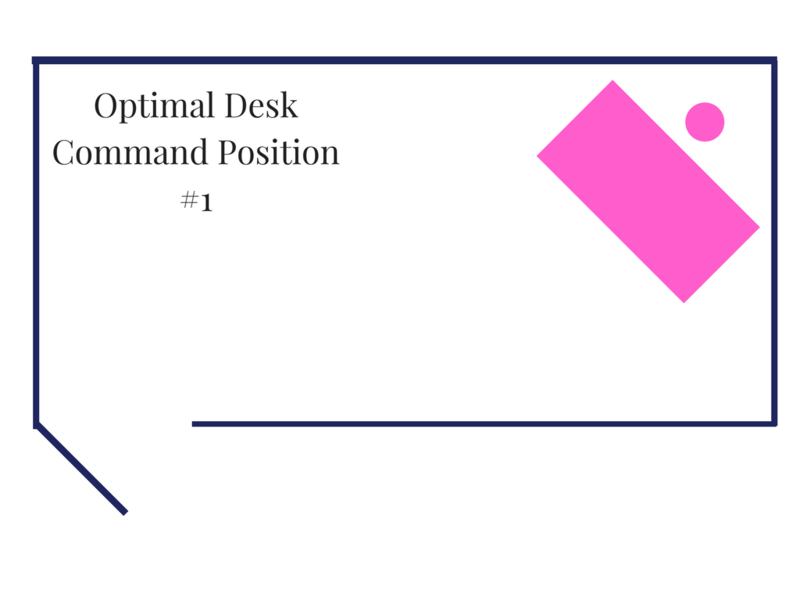 Put your desk in the COMMAND position. Command your desk Fifty Shades of Grey style! Not really, but really! 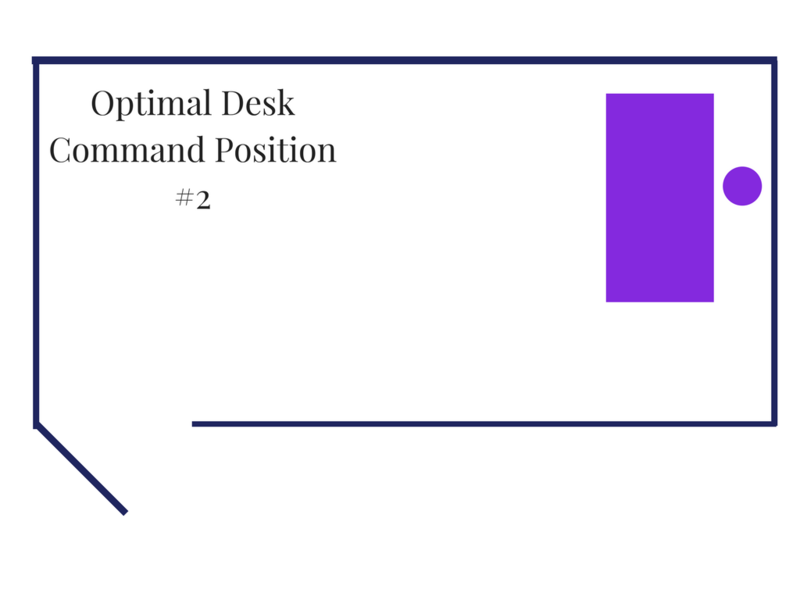 You want to make sure that your desk is in a command position in your office, meaning you should be able to clearly see whoever comes through the door. Think about it: if your back is to the door, you’ll always be looking over your shoulder in apprehension of someone sneaking up behind you. Do you really want that kind of energy for your business? Wondering if a surprise attack from your enemy is coming? I certainly wouldn’t! 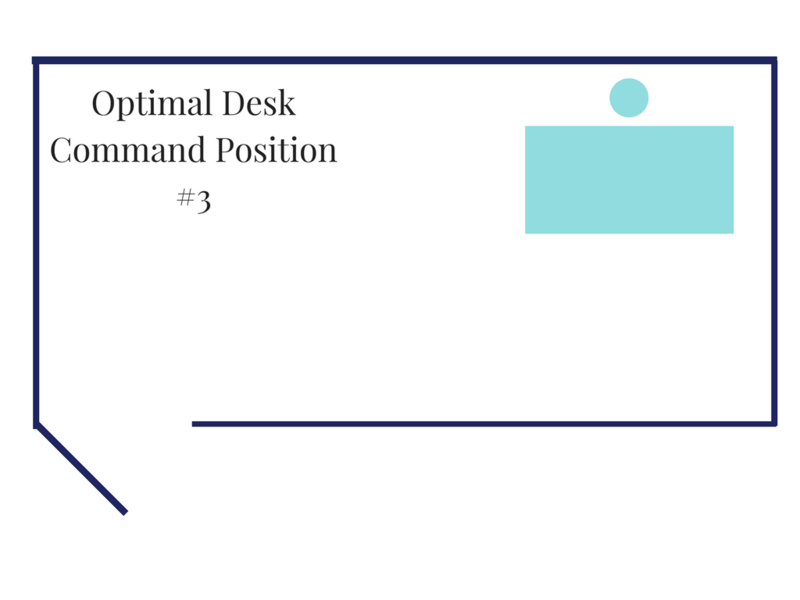 Take control of your space and your work by placing your desk in one of the 3 optimal positions as diagramed below. I like to think of my desk as my throne. Where would you like to sit and reign queen? 3. Place a lush, green plant in the SE corner. Plants are a symbol of the wood element. And the Southeast corner of your office is the area that represents wealth and prosperity. Placing a lush, green plant in this corner activates that area, allowing you to attract more wealth and prosperity into your life. As the plant grows and flourishes, your wealth will grow and flourish too! Green plants with round leaves are the best (e.g., rubber plant or jade plant). Round leaves symbolize round coins of money. You can also do lucky bamboo if you don’t have a green thumb. Make sure you have 3 straight bamboo stalks tied together! Also, see to it that the plant is well-cared for and trimmed regularly. Take out dried and decaying leaves as they will bring your business bad luck. And we don’t want that, do we? TRUE STORY: I have been using Feng Shui tips in my office and home for years and it has always brought me more prosperity. For example, a few months ago, I placed a lush, green plant in the SE corner of my office and I started getting a steady stream of clients the very next week! Download the full checklist of office items to declutter in order to maximize your Feng Shui prosperity potential! Comment below with any questions and tune in on Wednesday for Part TWO of How to Feng Shui Your Office for Prosperity! I’ll be giving you 3 more things that you can add to your office to help you attract more wealth into your life! And remember: Success starts by saying YES to YOU! Massive Hugs and Love to you!